Barley comes into the world in a field homeless, without protectors, apart from his mother and siblings, who are killed by a cruel farmer. Barley is the only member of his family to survive. The world of first century Jerusalem through Barley s eyes is a place of both harshness and unexpected beauty. He finds his way to the home of a kind woodcarver and his loving wife. Adah and Duv are following a new teacher that everyone is talking about the Teacher from Galilee who preaches a revolutionary message of forgiveness and humility. Barley carries what he has learned through Adah and Duv s kindness back into the world with him when he is once again alone and without a master. Barley finds his way to The Camp, a barren no-mans-land on the outskirts of Jerusalem where the poor and hopeless congregate. There, he meets Samid, a good-hearted petty thief, who leads Barley to new adventures, new revelations, and to an unforgettable encounter with The Teacher Himself." 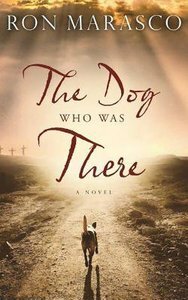 About "The Dog Who Was There (Unabridged, 9 Cds)"